The simple, mass produced, vessel shown here is called a beveled rimmed bowl. Archaeologists have found them at Godin Tepe and at sites throughout the Middle East. Created more than 5,000 years ago, scholars debate what they were used for. Those found at Godin may have been used for grain, although one opinion is that they could have been used for water. "There's no reason to have that beveling except that it's a wonderful place to put your lip when you drink out of it," Badler said, adding that she tried drinking out of one of these bowls. "I covered it with a very thin plastic bag, and I filled it with water," she said. "What the beveling does is it makes a very thin edge — it was extremely easy to drink out of the bowl." A few of the bowls were also lined with bitumen, a substance used for waterproofing. "Why would you line a bowl that had grain in it, or porridge, with bitumen?" The windows, in the scenario she proposes, would have been used to provision troops. "I think there was a local army queued up," she said. "I think they were giving out the weapons over here, and (at) the other window maybe they were giving out water and food." More than two dozen tablets (like the one shown here, front and reverse) were found at Godin Tepe. They appear to have been used for record keeping. Some of the tablets were found in the same building as the "takeout" windows. So the compound would have served as a takeout place, though the food and bullets would have been provided to soldiers on their way to fight. "Here's your bread, here's your water, your rations for the day, and here's your (weapons), so get the marauders," Badler said. The work was also described at a symposium held by the Canadian Society for Mesopotamian Studies. 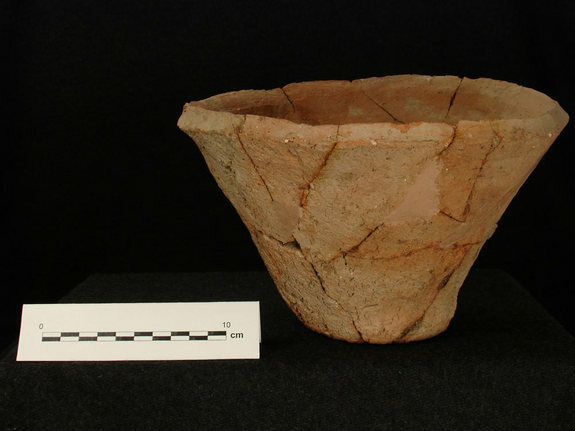 Artifacts from the site are now part of an exhibit at the Royal Ontario Museum. The inhabitants of Godin Tepe engaged in wine production more than 5,000 years ago. 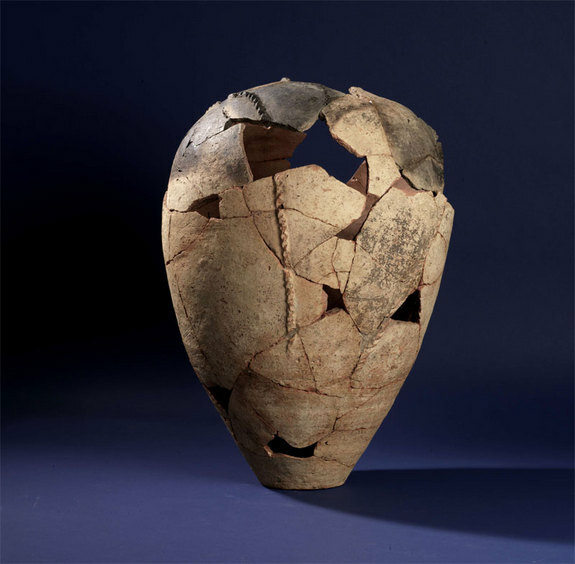 Recent archaeological research suggests that wine originated in the Caucasus (a region at the border of Europe and Asia, which includes the Caucasus Mountains), and the technology to make it may have been brought to Godin by people from that region. The vessel pictured here has traces of the beverage it contained.